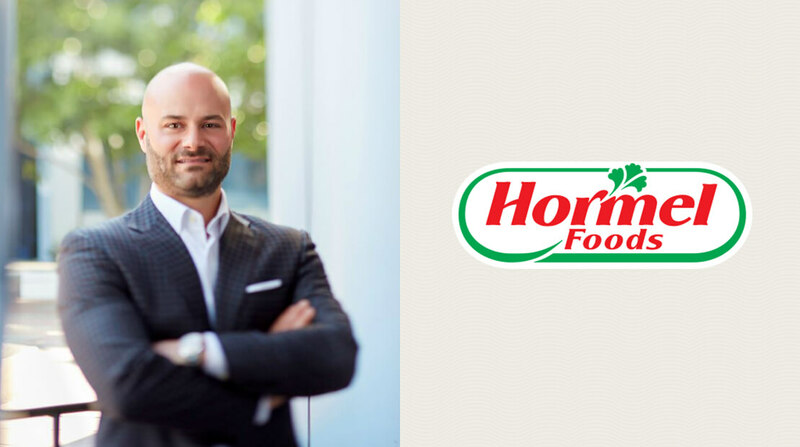 Hormel Foods Corporation (NYSE: HRL), one of the world’s leading branded food companies, today announced that Jeff Frank, president of MegaMex Foods (Orange, Calif.), has been named vice president of Foodservice marketing at the company’s global headquarters (Austin, Minn.). Frank replaces David Weber, who was recently promoted to vice president of Foodservice sales. Ryan Michaelis, vice president of sales and marketing at MegaMex Foods, has been named president of MegaMex Foods. Michaelis will report to the MegaMex Foods Board of Managers. MegaMex Foods is a joint venture between Hormel Foods and Herdez del Fuerte and helps to bring authentic Mexican flavors to every table with growing brands like Wholly Guacamole® dips, Herdez® products and CHI-CHI’s® products. The Foodservice division at Hormel Foods is focused on strategic growth for meal occasions outside of the home and in channels like restaurants, hotels, hospitals and colleges and universities. The Foodservice division reports into the Refrigerated Foods segment at Hormel Foods. Frank began his career with Hormel Foods in 1998 as a meat products sales representative in San Francisco, Calif. A year later, he transferred to the world headquarters and steadily progressed to the position of senior product manager in 2003. In 2005, he advanced to the position of director of retail marketing at the company’s former business in Los Angeles, Calif., and was promoted to vice president of retail marketing in 2007. He transitioned to MegaMex Foods in 2009 as the vice president of marketing, and assumed his current role in 2013. Michaelis began his career with Hormel Foods in 1997 as a meat products sales representative in Denver, Colo. He held various meat products territory manger and account executive roles until being named the corporate category manager for deli in 2003. He assumed the position of customer regional manager for the Kroger business in 2005, and the customer business manager for Walmart prepared foods sales in 2007. Michaels returned to the world headquarters in 2009 as the corporate manager of category sales for Grocery Products, and moved to the Bentonville (Ark.) Sales Office as the director of Walmart and Sam’s Club Grocery Products sales in 2013. He assumed his current role in 2015. Hormel Foods Corporation, based in Austin, Minn., is a global branded food company with over $9 billion in annual revenues across 75 countries worldwide. Its brands include SKIPPY®, SPAM®, Hormel® Natural Choice®, Applegate®, Justin’s®, Columbus®, Wholly Guacamole®, Hormel® Black Label® and more than 30 other beloved brands. The company is a member of the S&P 500 Index and the S&P 500 Dividend Aristocrats, was named one of “The 100 Best Corporate Citizens” by Corporate Responsibility Magazine for the ninth year in a row, and has received numerous other awards and accolades for its corporate responsibility and community service efforts. In 2016, the company celebrated its 125th anniversary and announced its new vision for the future – Inspired People. Inspired Food.™ – focusing on its legacy of innovation. For more information, visit www.hormelfoods.com and https://csr.hormelfoods.com/. MegaMex Foods, LLC. is a joint venture between Hormel Foods and Herdez del Fuerte, S.A. de C.V., which is a joint venture between Grupo Herdez and Grupo Kuo in Mexico. The vision of MegaMex Foods is to “bring the spirit of Mexico to every table.” MegaMex Foods offers brands and products that range from authentic to mainstream. It is a leading full-line provider of Mexican foods in the retail, foodservice and convenience store channels with brands such as Herdez® products, Wholly® dips, CHI-CHI’s® products, DON MIGUEL® brand and La Victoria® products.